A man driving a farm tractor ran over eight vehicles in the parking lot of a Vermont police station in an apparent revenge scheme, according to local police. 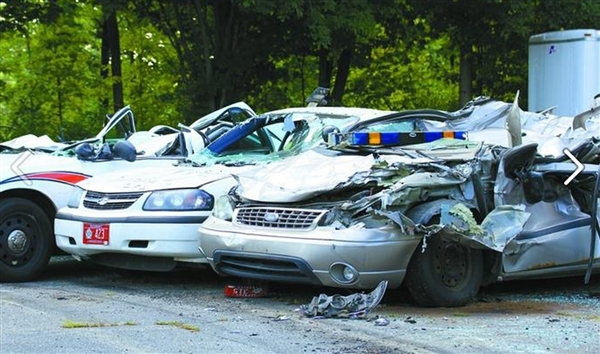 Roger Pion, 34, of Newport, Vt., flattened seven marked police cruisers and one unmarked personal vehicle at the Orleans County Sheriff’s Department in Derby, Vt., around 12:40 p.m. Thursday. Thank you for sharing this post on filing an insurance claim. I have found a good resource for this type of insurance claim. There are a variety of ways to go about this so I suggest you research some of the companies for their offers.